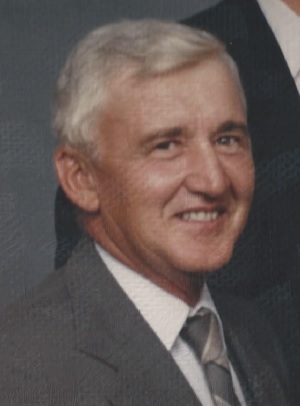 Fredrick M. Dietz, 83 of Duncan Falls, passed away in the early morning hours of March 19, 2019 at the Helen Purcell Home in Zanesville and under the care of Genesis Hospice. Fred was born in Zanesville on February 23, 1936. He is the son of Fredrick C. and Margaret Esther (Minnich) Dietz. He retired as a lifelong area farmer. He was also a teacher spending eight years teaching in the Maysville School District and twenty-two years in the Franklin Local School District. He was a member of the Duncan Falls United Methodist Church and he served his country in the U.S. Army. Fred is survived by his four children, Sharon (Steve) Hager of Raymond, OH, Diane (Vere) Miller of Galena, OH, A. Irene (Tim) Swegle of Duluth, MN, and Frank (Susan) Dietz of Zanesville; his grandchildren, Rebecca (Robert) Moore and Ben (Shannon) Swegle , Daniel Barr, Elizabeth and David Miller, and Adam and Emily Dietz; his great-grandson, Jack Swegle and his two sisters, Martha Esther Gross of Cleveland, OH and Beverly (Rick) Long of Maryland. In addition to his parents, Fred is preceded in death by his wife, Louise May Dietz, who passed away April 3, 2018 and his sister, Dorothy Beech. Please consider making memorial contributions in Fred’s name to either: The Helen Purcell Home, 1854 Norwood Blvd, Zanesville, Ohio or to, Genesis Hospice, 713 Forrest Avenue, Zanesville, Ohio 43701. Visitations will be 4 to 7 pm Thursday, March 21, 2019 at the Farus Funeral Home of Duncan Falls where a memorial service will be held at 11 am on Friday, with Pastor Al Laese officiating. He will be laid to rest beside his wife in the Duncan Falls Cemetery.